Cabinet chaired by President Yoweri Museveni yesterday passed what by its own admission are ‘stringent’ new conditions that will govern the licensing of telecommunication companies in Uganda. Some of the stringent new conditions include the requirement that telecom companies respect and implement number portability across their networks. The terminology means that all telecom companies are required to reserve a number for a customer. In other words, if someone has 0772 288345 as their MTN number, all other networks would be expected to reserve the ‘288345’ for that particular customer. Sources from the industry however say they proposal was first introduced ten years ago by UCC but it faced ‘political’ interference. Implementation of this condition is likely to face even tougher opposition from the stakeholders including customers some of whom have already personalised their lines for personal and business purposes. 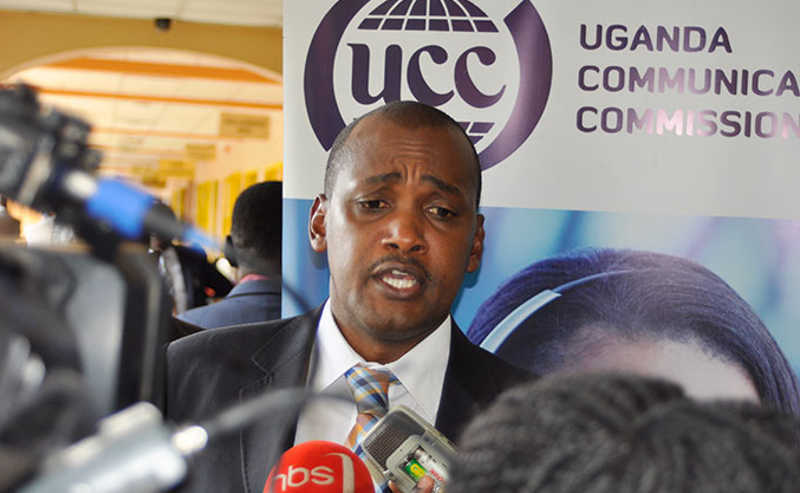 Besides number portability, the government has set a new requirement for all telecom companies to list shares on the Uganda Stock Exchange (USE) as a way to mitigate capital flight by telecom companies. The measure comes in the wake of reports that MTN Uganda dispatches a lot of money back home to South Africa. 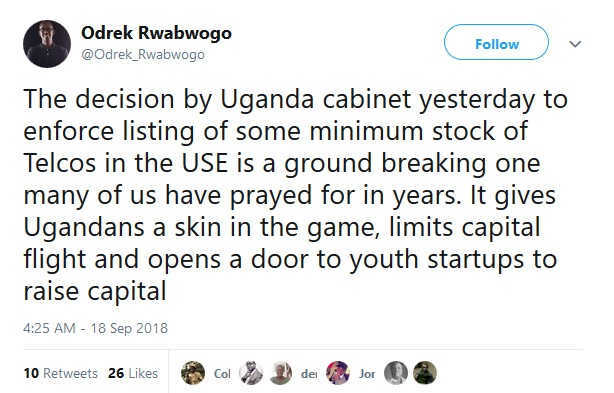 The conditions have attracted some support from several corners including President Museveni’s son in law Odrek Rwabwogo who tweeted as shown below.